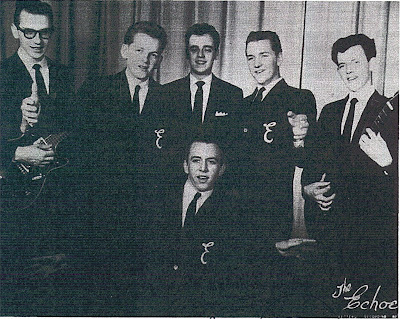 White vocal group from Latrobe, PA. formed in 1959 by Larry James (Lead), Pat Gebicki (1st Tenor), Bob Winebrenner (Baritone/Bass), Henry Sobeck (Lead Guitar) and Hugh Rohaly(Guitar). they took their name from the community of "Echo" in Oregon. They were managed by Dave Caldwell this directed to George Heid who operated a recording studio in Pittsburgh where recorded as THE ECHOES the calypso side_Mary. and the rockin tune_My Baby. finally released in 1960 on the Texas based label Oak Records. This recording send the group to have some life perfomances and another recording session on the United Recording Studio in Pittsburgh owened by Glen Campbell_Angel Of Love/Twistin Town.were recorded and released in 1961 on the Hi-Tide label operated by Glen and his partner Odell Bailey under the group name of The ECHO'S. 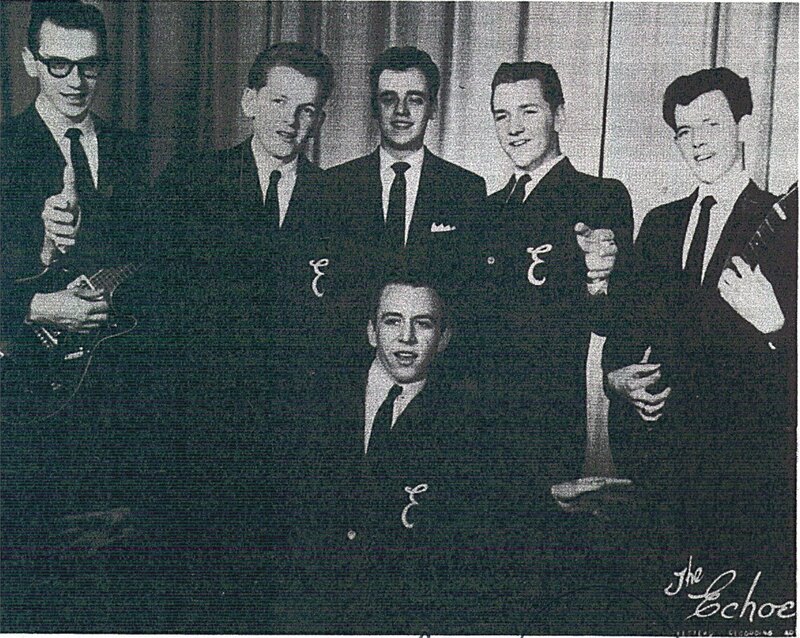 The A side received quite a bit of airplay and the record had been picked up by Felsted Records for nationally distribution.the recording have a big nationally popularity and send the group to have an appearance on American Bandstand in the summer of 1961. In late 1961 Bob Winebremmer left the group and join Joe Bajo,Ray Benedick and the pianist Frank Vincente the group recorded two new sides_Four Lonely Nights/Angel In My Dreams. but by internal problems with their manager the record never was released and caused The Echoe's broke up.